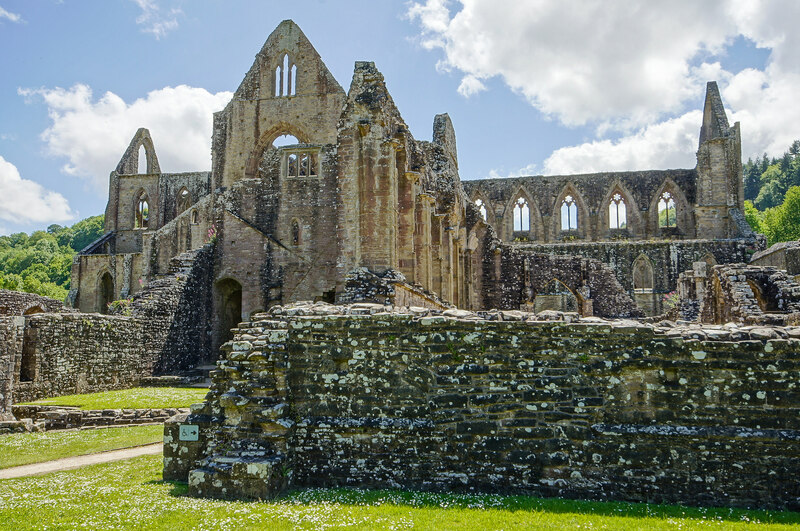 The Wye Valley, perched between England and Wales, has a whole host of fantastic family activities. 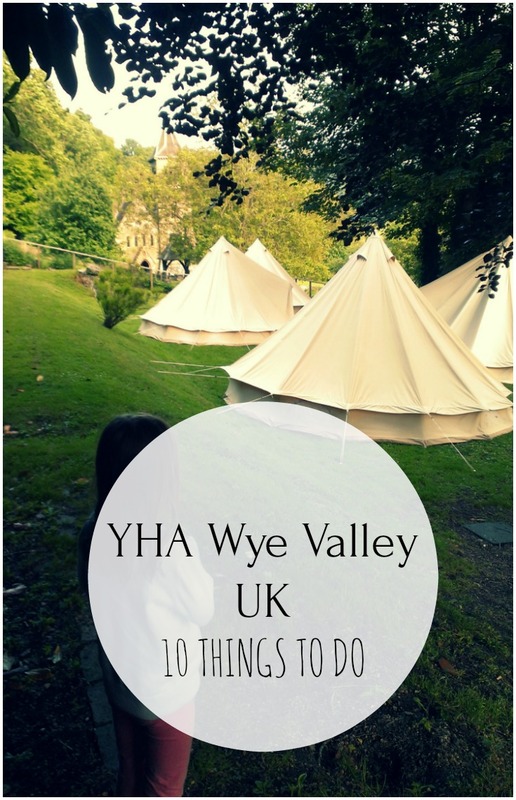 Our base for the weekend was the YHA Wye Valley youth hostel. A steep descent to the hostel found it literally on the banks of the river with, astonishingly, a church next door, yurts in the garden and views of the river. The ideal base for the area’s cycling, canoeing, walking and sightseeing, you can step outside the hostel and walk down the riverbank or canoe from outside the hostel. 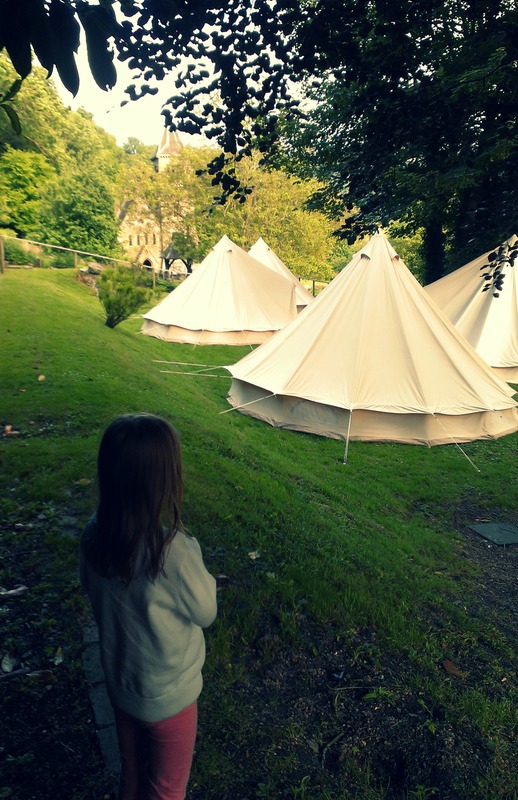 The hostel has private and dorm rooms as well as bell tents for hire. The premium bell tents even have a wood burner! You can also bring your own tent and camp in the hostel’s riverside grounds. The hostel has a couple of large lounges with some games and books, a self catering kitchen and breakfast and dinner are available in the hostel’s restaurant. 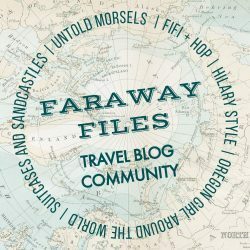 We found accommodation here more basic than at some of the recently refurbished hostels but the stunning waterside location is a great selling point. It’s also available for exclusive use if you have a large family or group that want to get together! If you have your own canoes, you can canoe straight from the riverbank outside the hostel and people were doing canoe and camp whilst we were there. If you don’t have your own canoes, you can hire them from Symonds Yat. 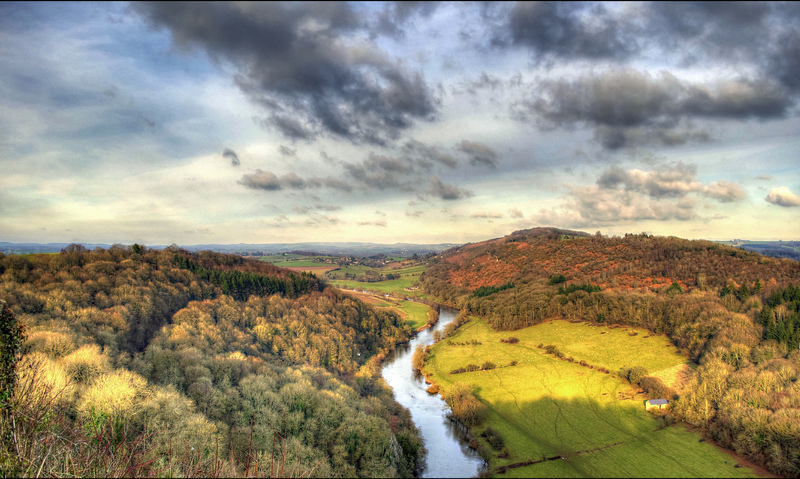 Climb the hill to Symonds Yat Rock for fantastic views down the River Wye – reward yourself after the climb up with cake from the teashop at the top. From Symonds Yat you can spot peregrine falcons – the world’s fastest bird in a dive. Sometimes there are RSPB volunteers at the top to help you spot the falcons and other birds and tell you about them. Take the binoculars! 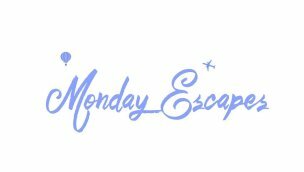 A stone’s throw from Wye Valley YHA is Goodrich Castle, an English Heritage medieval castle with fantastic views and all the traditional castle features that kids love so much. 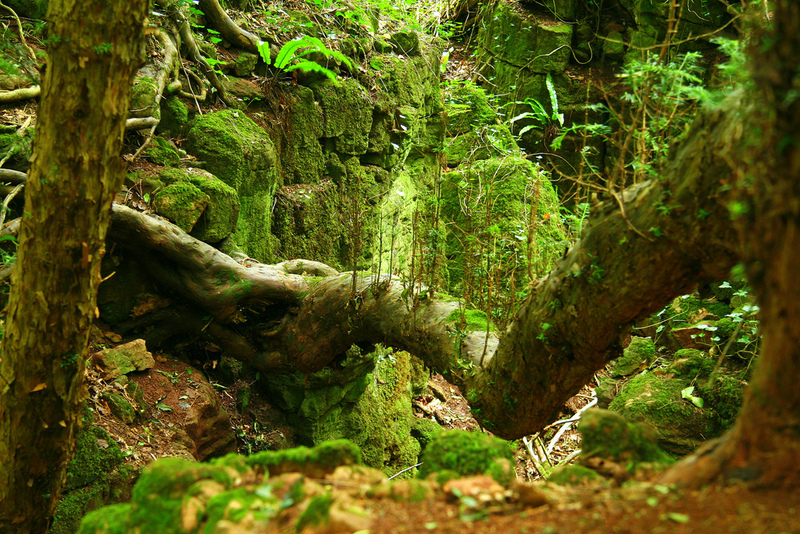 A magical woodland with tree and rock formations and the greenest moss you’ve ever seen! Puzzlewood is the scene of filming for everything from Doctor Who to Atlantis. If your children are fans of Merlin or Wizards v Aliens this is the place to bring them as these CBBC series were also filmed here. Allegedly the inspiration for JRR Tolkein’s middle earth, you can quite see why as you almost expect fictional folk to be living here amongst the gulleys and gnarled trees. Sitting right on the River Wye, Tintern Abbey is just shy of 1000 years old and was one of the monasteries dissolved by Henry VIII. 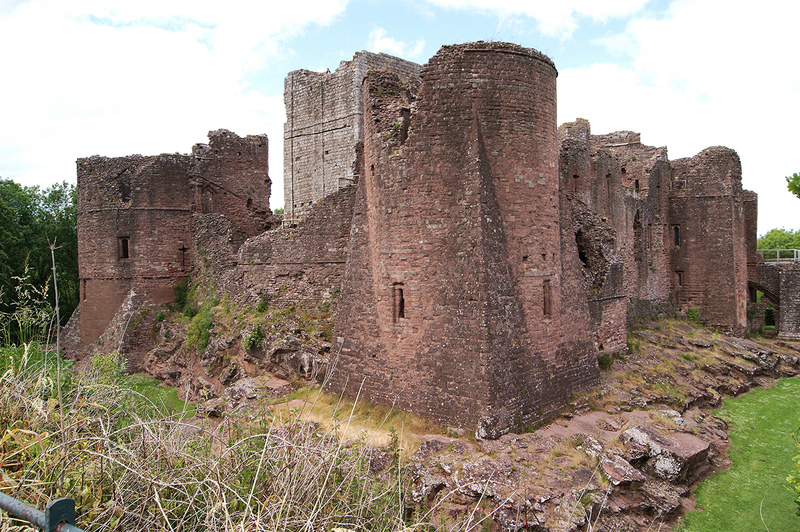 It features in many paintings and poems and despite being a ruin, retains much of its original grandeur. Just half an hour from YHA Wye Valley, Clearwell Caves are a good rainy day option as they are underground. 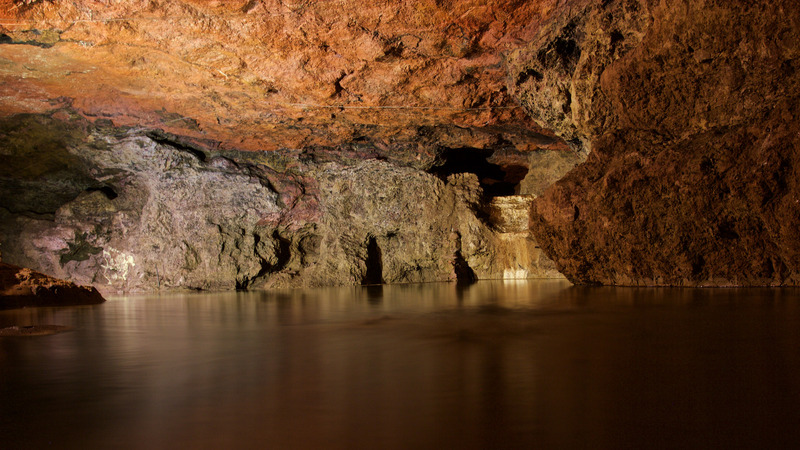 Originally an iron mine, you can explore these huge caverns deep below the surface and the museum. If you are a caver, you can arrange to go beyond the show caves open to the public. Children worked in the iron mine here and your kids can have a go at carrying the loads that the child miners used to have to carry – heavy, dark and dangerous work. Another favourite with my children, the Forestry Commission’s Beechenhurst in the Forest of Dean has forest trails, a sculpture trail and adventure play area. 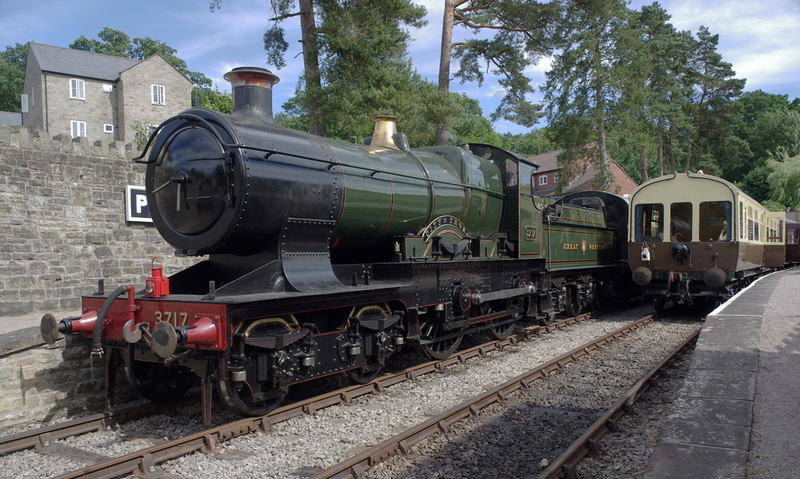 For steam train afficionados – an 8.5 mile steam train ride from Lydney to Parkend. A huge hit with kids! 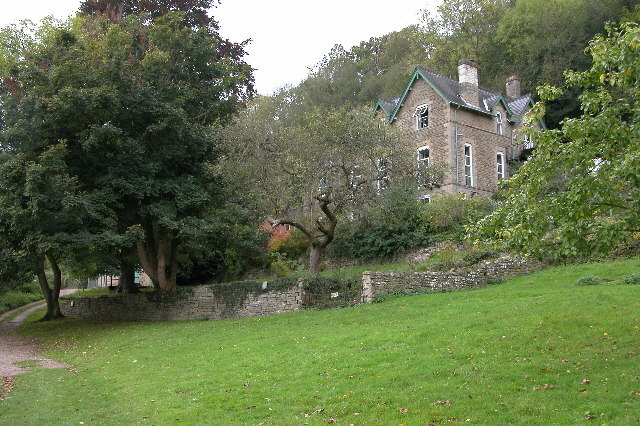 With its idyllic spot in the Wye Valley and its proxmity to the Forest of Dean, YHA Wye Valley is a great base for the outdoor pursuits of the area and the many attractions nearby. 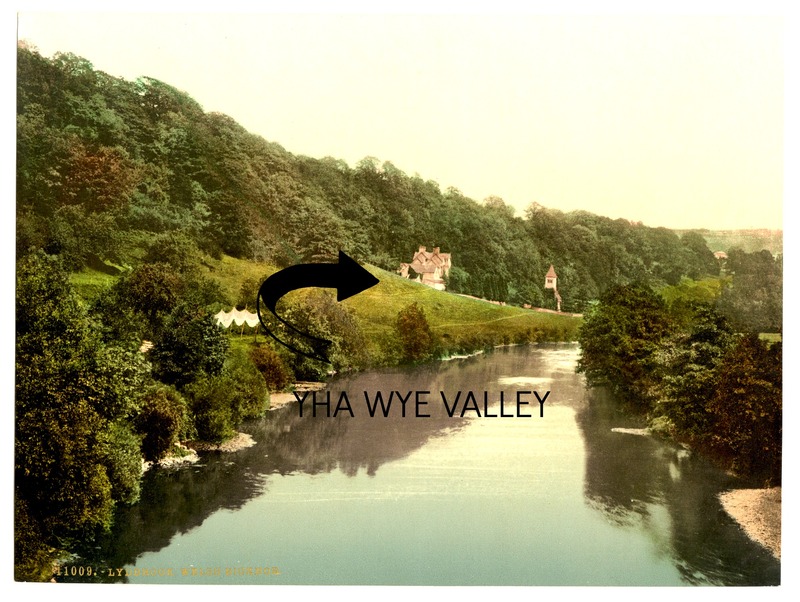 We visited YHA Wye Valley in 2014. This post is in no way sponsored or endorsed by any of the organisations mentioned. The best of the British countryside! Puzzlewood looks beautiful!